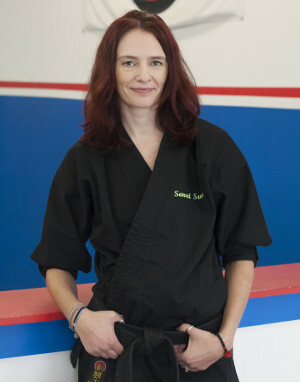 Sensei Sue Franke is a fourth degree black belt in American Kenpo and head instructor at AmeriKick Haddon Heights. Sue earned her black belt and became an assistant instructor at AmeriKick Haddon Heights in 2009. After taking ownership of AmeriKick Haddon Heights, Sue has transformed the location and continues to train in American Kenpo with Grandmaster Dennis Tosten and Master Mark Russo. In addition to her extensive Martial Arts training, Sue is a certified Kickboxing and Forza Sword instructor and continually attends workshops and training classes to maintain her current AFAA certification. As a top fitness instructor in the areas of Haddon Heights, Oaklyn, Audubon, and surrounding towns, you have not had a true workout until you have taken one of her rock star classes! 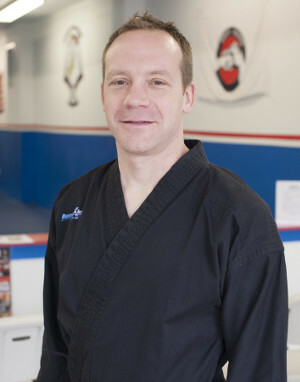 Sensei Jess is a 2nd degree black belt in American Kenpo and has been training with AmeriKick for over 10 years. She is a fabulous instructor and role model to our kids. Jess graduated from Audubon High School in 2014 and is currently studying at Camden County College. She is always eager to learn and is currently training with Sensei Sue. 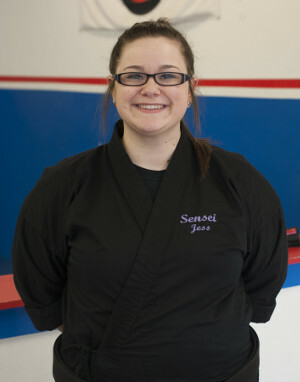 Sensei Jess is incredibly reliable and we are excited that she continues to be a trusted member of our team. In 2013, Sensei Jess was awarded the first annual Nicholas Levin Memorial award for excellence. 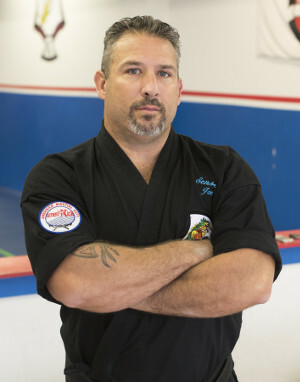 Sensei Joe began studying Martial Arts in 1988 in the Tang Soo Do system where he achieved the rank of 2nd Dan. 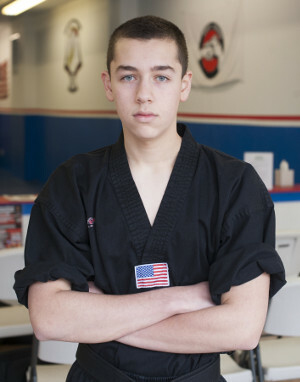 In 2002, Joe started with AmeriKick Haddon Heights and has since earned his 2nd degree black belt in American Kenpo. Sensei Joe is a charasmatic instructor who brings real world experience to the adult classes and never fails to jump in and help out wherever he can. Joe currently resides in Bellmawr and is the proud father of 3 children. Sensei Josh is our newest junior sensei and is doing a fantastic job with the children. As he continues to grow and further his martial arts knowledge he is taking on more and more responsibilities in our children’s programs and is proving to be a great instructor. Sensei John teaches the AKX Tricks class on Saturdays, adult sparring classes on Wednesdays and fills in to help out with other classes as necessary. With a background in many different sports and acrobatics he helps the kids with their form and more advanced tricks. 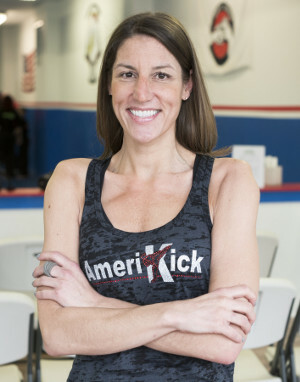 Dana has been a certified kickboxing instructor at AmeriKick Haddon Heights for over 10 years. Famous for her ‘Torture Tuesday’ workouts, if you need a workout she will surely not leave you disappointed. Anne is our newest certified kickboxing instructor and has been teaching for us regularly for the past year.